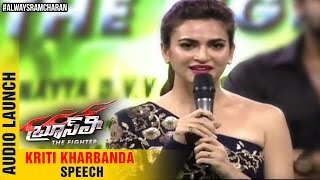 Kriti Kharbanda got famous in Telugu after acting with Pawan Kalyan in Teenmar and she built a big career in Kannada, as well. She is known for Hindi medium budget movies and she is slowly growing in popularity as many films are looking to cast her. Also as a model she is going well too. She is now modeling for some well known brands and she even started sharing hot photos too. In this new photo, that does expose her chest area, she is laying on the bed in a lazy fashion and not moving in anyway. The way she struck a pose, it looks like she is inviting you and seducing you to have some dirty dreams. Next Post Shruti Haasan's Boyfriend Announces Break-up!